TPV Podcast, Episode 269: What Is a Real Detox and What Is Bunk? Ep. 269: What Is a Real Detox and What Is Bunk? In this episode, we discuss the difference between trendy detoxes and helpful ones and explain how your body really detoxes. 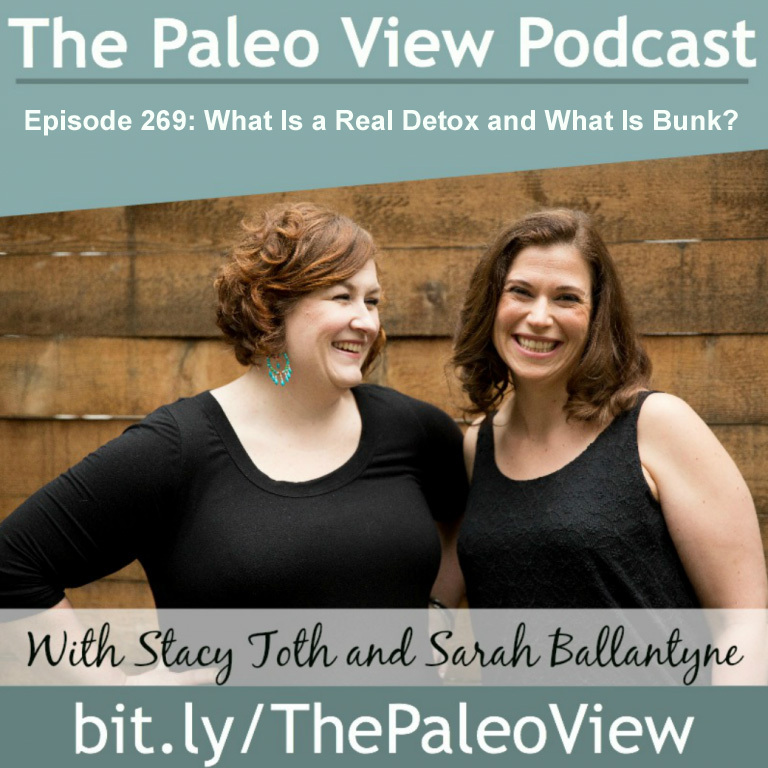 The Paleo View (TPV), Episode 269: What Is a Real Detox and What Is Bunk? Sarah’s still tired because she’s been recording videos for the Autoimmune Protocol Lecture Series videos all week. Stacy is excited about the next few shows because she got to pick the topics! After finishing Paleo Principles (which is 672 pages) Sarah went right into filming videos. Her feet have been swelling at night with no real explanation, and this got worse during filming. Sarah’s FIFTH formulation of her thyroid medication has been working really well, and she is happy that she’s lost some weight as a side effect. This week’s episode is Stacy’s suggestion, but it comes at a great time because of Sarah’s swollen feet! Sarah’s Functional Medicine specialist suggested that estrogen stored in her fat, which was released during her rapid fat loss, might be causing the swelling in her feet. So, her doctor recommended a medical detox from Douglas Labs, which helped reduce the swelling right away! Stacy thinks there’s a lack of education around other types of detoxes, as well as marketers who prey on “detox” searches on the web. Sarah says lots of detoxes have no grounding in science; a lot of them are fiber-rich and make you poop a lot. Another example is the coffee enema, which can actually be dangerous. Read Sarah’s post “Coffee Enemas: What the Science Says versus What You’ve Heard” for more. Interestingly, lots of detoxes, like juice cleanses, can have immediate beneficial effects because you’re eating more veggies and pulling out inflammatory foods (such as FODMAP’s and alcohol). However, they’re not a good solution because they starve your beneficial gut bacteria. Detoxification happens in the liver, but these cleanses don’t support the liver. Most “Toxins” are fat-soluble, including heavy metals, metabolic by-products, and excess hormones. Phase 1: Liver transforms them into water-soluble forms. Nutrients for this include B Vitamins, Vitamin A, Magnesium, Zinc, Selenium. 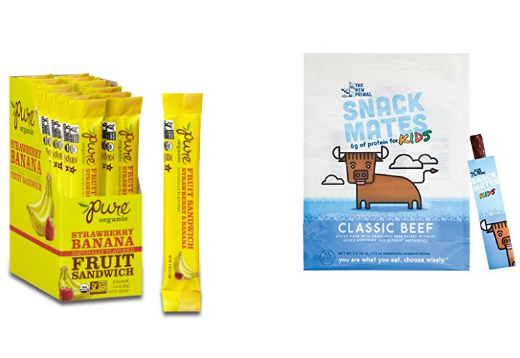 Nutrients for this include Amino Acids, Glutamine, Methionine, Taurine, Cysteine, Vitamin B and C, Selenium. Liver stores the nutrients needed for detoxification, so eating liver (or taking Vital Proteins Liver Pills) is a great “detox” strategy. Fiber from veggies (especially non-starchy), water, organ meats, bone broth, seafood, and fruit are all great detox foods – i.e. the Paleo diet! It’s also important to stay hydrated. If your liver can’t keep up, supporting Phase 1 or Phase 2 with botanicals like Milk Thistle can be helpful. This is what a medical detox looks like; it should only be done under a doctor’s supervision. In contrast, most detoxes just clear out your good bacteria and don’t support your liver at all. Stacy really doesn’t like that companies use misleading “marketing techniques” to convince people to buy their detox products that don’t work. Find a good functional medicine doctor to work with! Stacy and Sarah both love Vital Proteins beef liver pills. 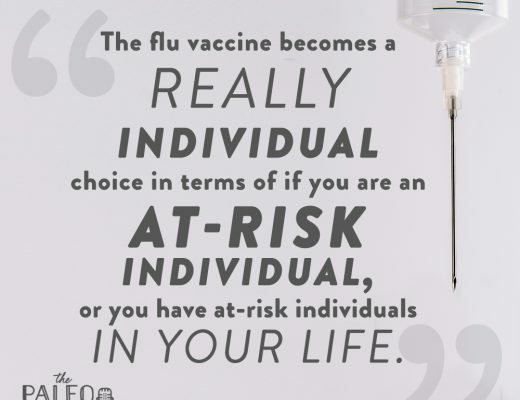 TPV Podcast, Episode 287: Should I Get a Flu Shot?